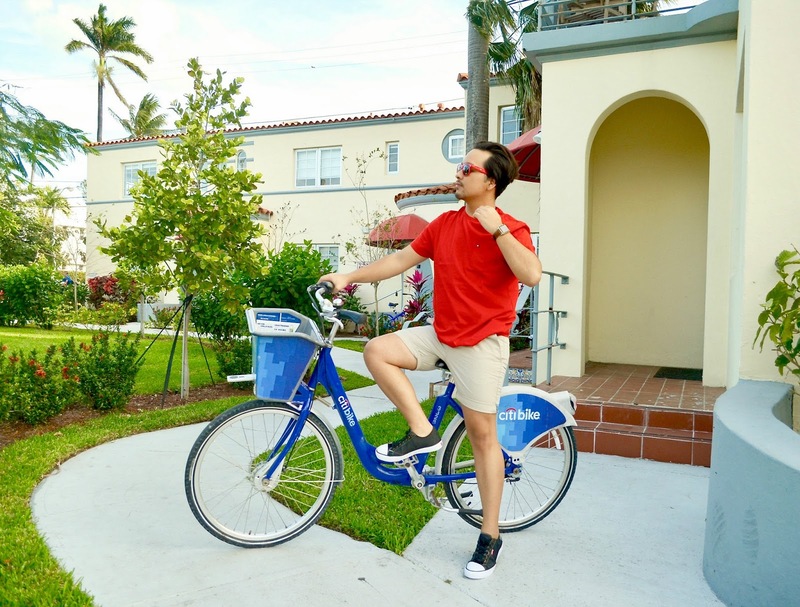 Bike riding the streets of Miami Beach! 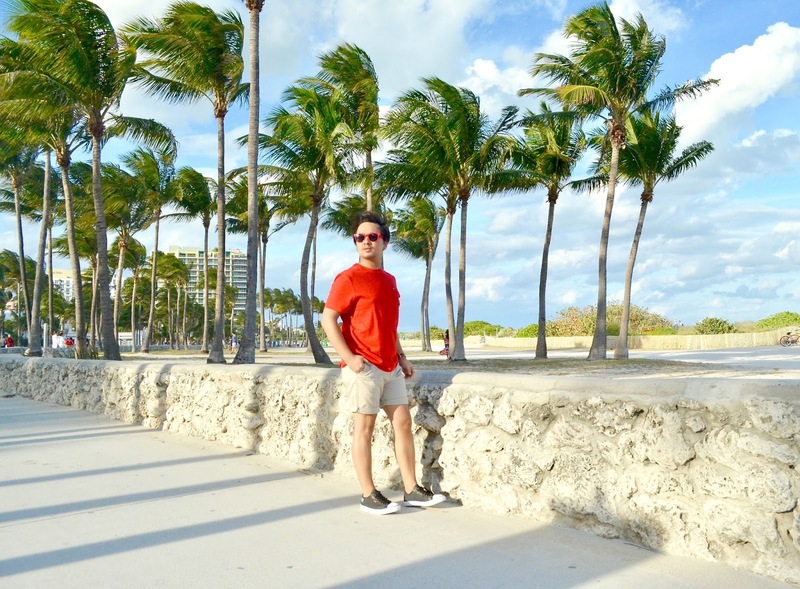 One of the first things I wanted to do once I landed in Miami, was to go bike riding and what a better place to do it, then in Miami Beach. 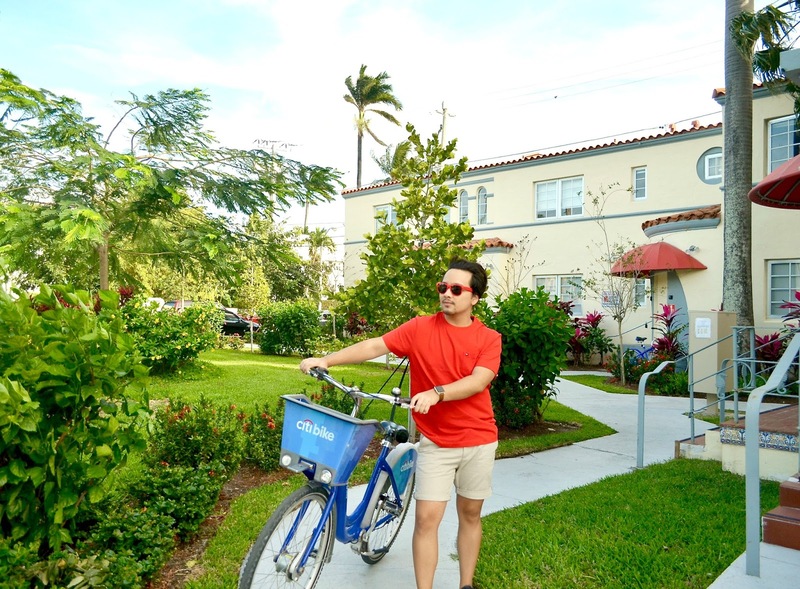 From the beautiful blue beach water to the beautiful colorful streets, bike riding through Miami Beach was like riding through a dream come. 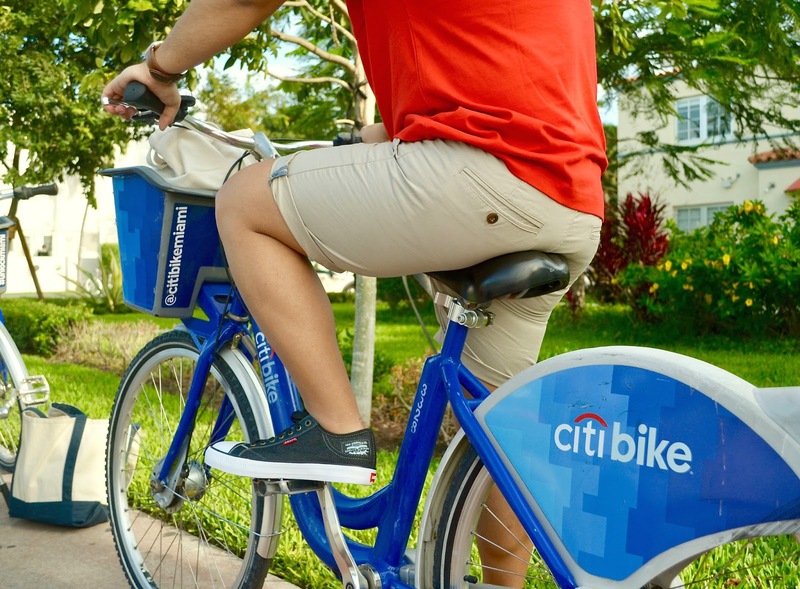 Back a couple of years ago when CitiBike was just starting to be a thing in main cities. 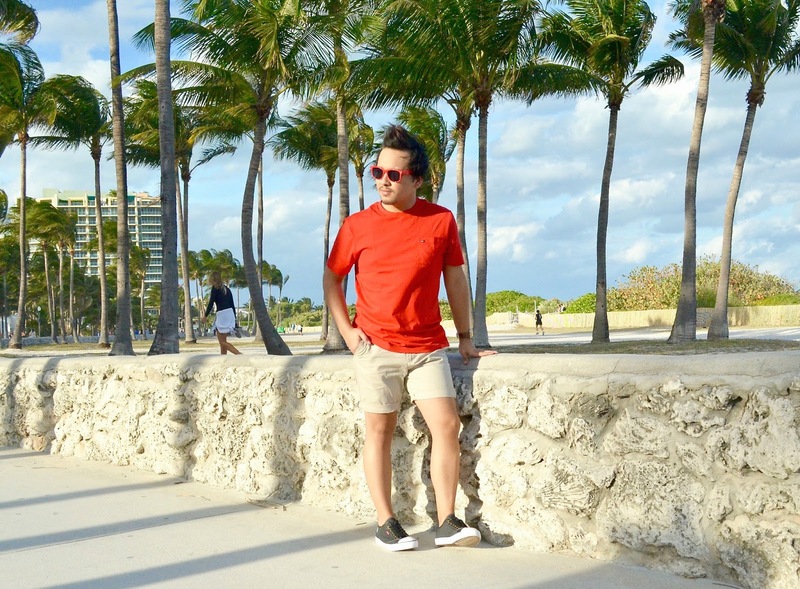 I was visiting the wonderful city of Washington, D.C. for a couple of days when I received a last minute call from one of my friend's asking me where I was. 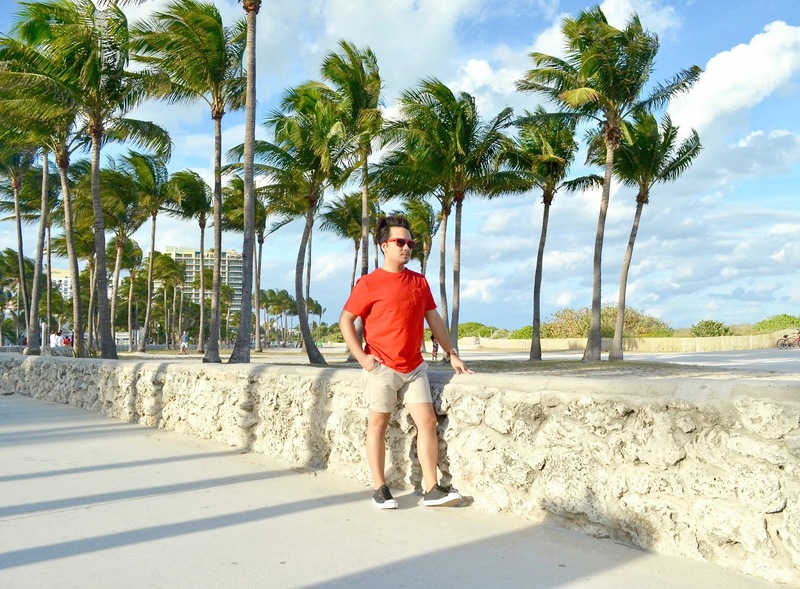 He continued by announcing how the check-out time from our hotel was in less than 30 minutes and unfortunately, my adventurous self, was inside a museum, a couple of miles away. 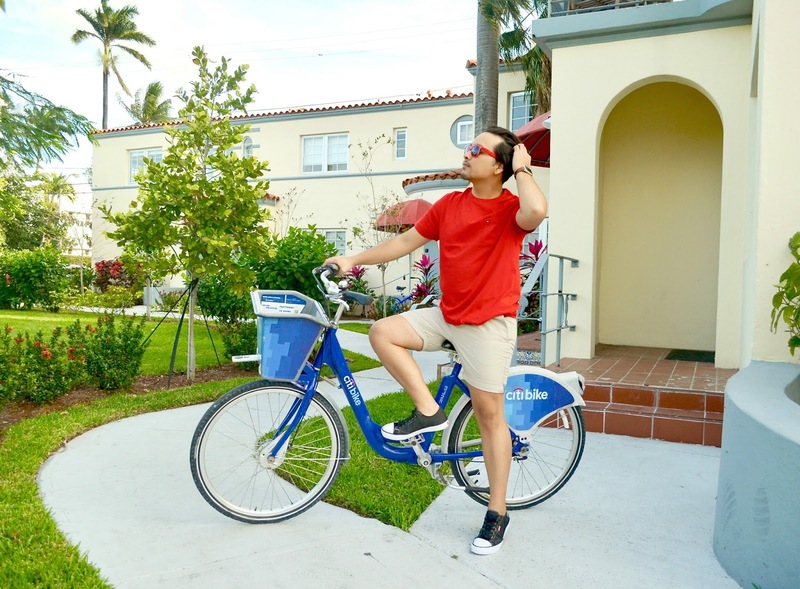 Luckily for me, I noticed a CitiBike stand a block away from museum, I ran to it and grabbed a bike, jumped on it and rushed back to my hotel, passing by the white house, the eclipse circle and other museums in the area. Thankfully, I made it back just with enough time to shower and pack before our check-out time, but afterwards, I was thinking in how wonderful that bike ride experience was, even though it was rushed, I end up giving myself a small tour of Washington, D.C. and I couldn't wait to do it again someday in a different location. 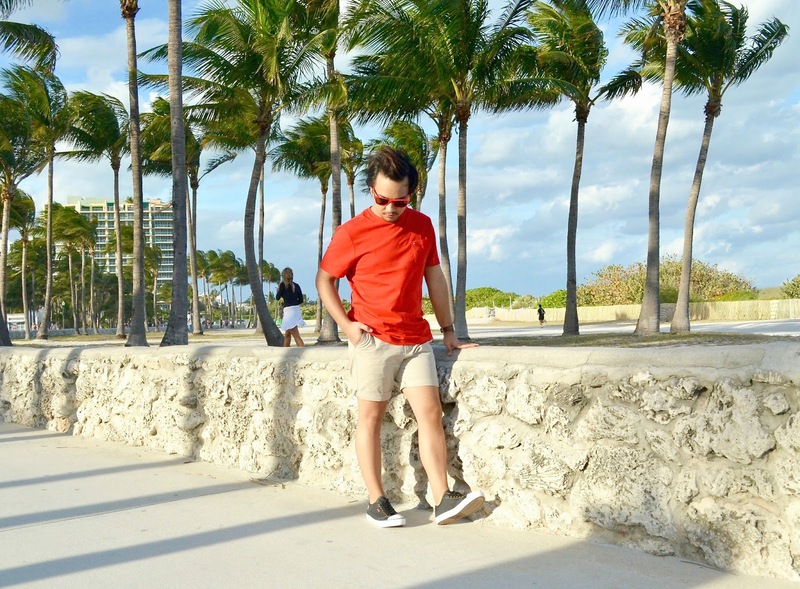 Ever since I attended the last season of fashion week, I've been obsessed with a bright pop of color trend for both winter and summer season, and since it was still winter back in New York and feeling like summer in Miami, I thought it was appropriate to use this trend and wore a bright red Tommy T-Shirt. 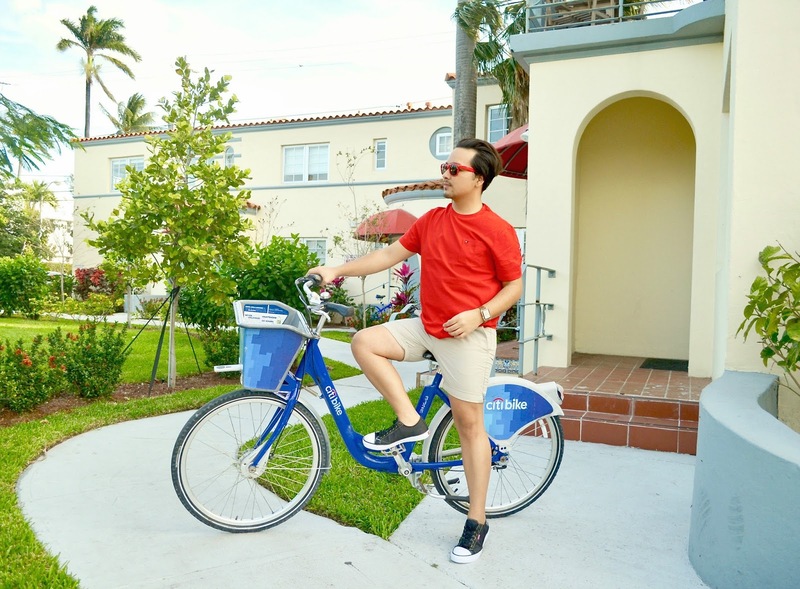 Before heading out on my bike ride in Miami Beach, I was wearing a pair of light blue sunglasses, but after stopping by a local shop, I end up purchasing a pair of red sunglasses and wore them instead of the blue ones to add more of this bright red color I wanted for this outfit look. 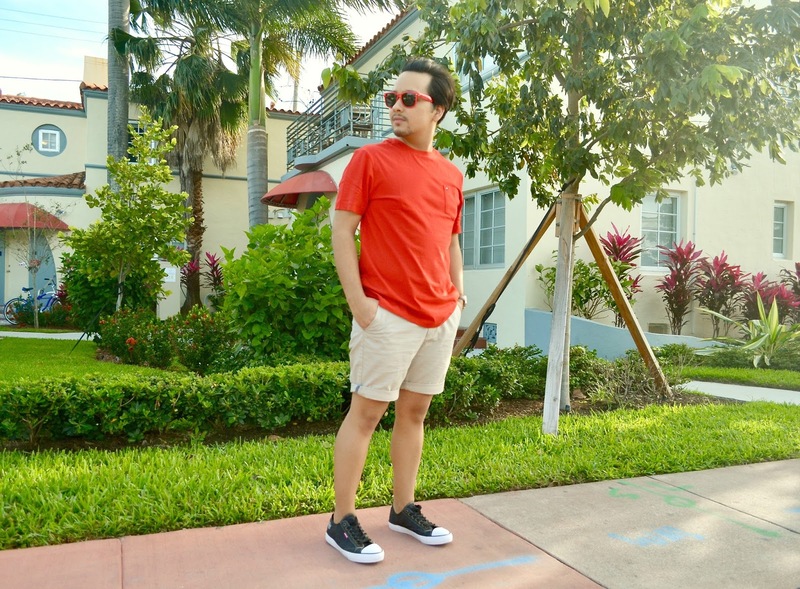 I finished up this look by wearing a classic beige shorts to balance out the colors, and wore my new pair of Levi's sneakers which I saved specific for this outfit look. 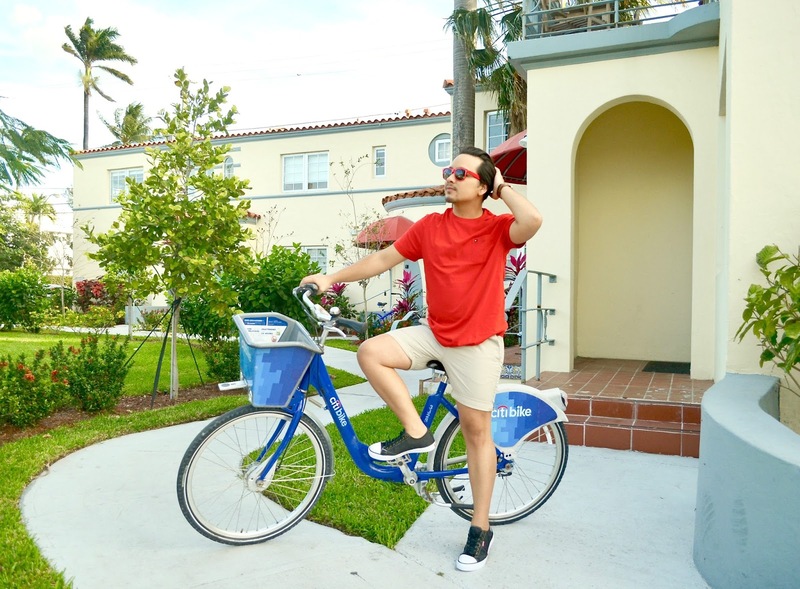 After 2 hours of bike riding through the stress of Miami Beach, I'm not gonna lie, it reminded me how important being active is. 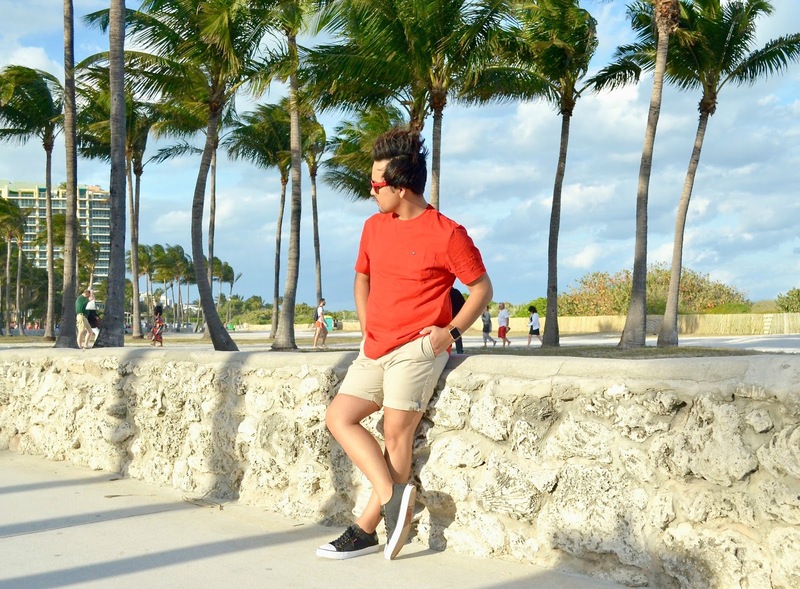 But in all seriousness, it was an experience I would love to continue in doing, even if is in Miami Beach again or anywhere in the word. 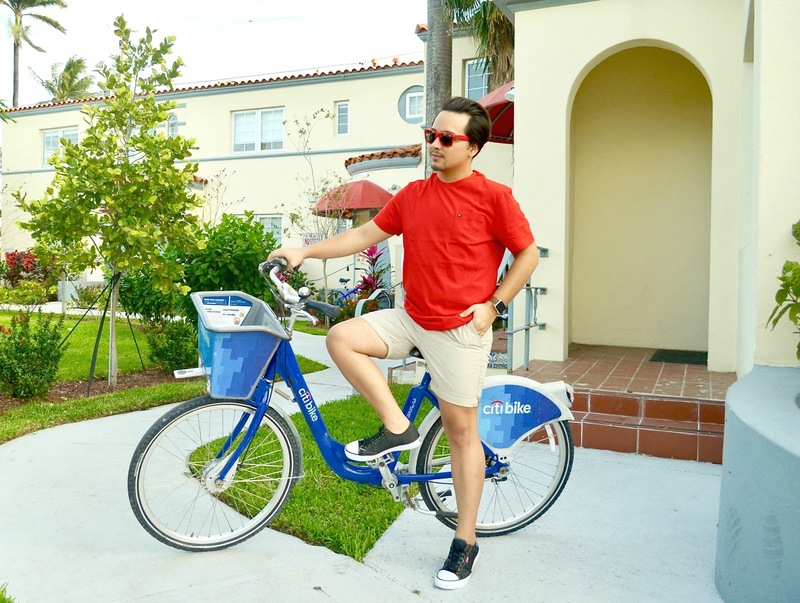 Hope everyone enjoy this outfit look and I encourage everyone to go out and try something like biking around your neighborhood, you never know what new areas near you, you might end up finding. That's all for today and I'll see you all in my next post!